RT / BATTLE FOR WORLD – November 2, 2018: The article highlights that the US Missile Defense Agency has been practicing shooting down a land-based medium-range ballistic missile, just as Washington prepares for its withdrawal from the cornerstone INF nuclear non-proliferation agreement. MABUS (i.e. the US-ABM treaty) then will soon die, to come. Hundred, hands, thirst, hunger when the comet will run. 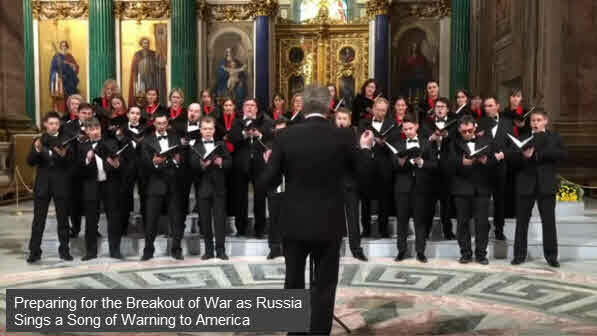 BATTLE FOR WORLD / TRUNEWS | March 2, 2019: The video highlights a song being sang by a Russian choir at Saint Issac’s Cathedral, which functions as a museum in Saint Petersburg, Russia; celebrating the defenders of the fatherland day on February 19. The Cold War era song lyrics from the 1980s walks through the moving drama about the breakout of World War III. A video performance of the song was posted by the Roissya24 channel on Youtube. I can do it all for three rubles! On a submarine, yes, with an atomic motor. The crew sang a merry song. We can all do it for three rubles! But five hundred years ago, you were discovered for nothing. BATTLE FOR WORLD / TASS | March 21, 2019: The article highlights that the United States has redeployed six US B-52 bombers to Europe, in what the Russian Kremlin believes will breed tension. “It goes without saying that such actions by the United States by no means strengthen the climate of security and stability in a region adjoining Russia,” Kremlin spokesman Dmitry Peskov told the media on Thursday (March 21). “On the contrary, it breeds more tensions,” he said. BATTLE FOR WORLD / TASS | March 15, 2019: The article highlights that the United States has launched the production of components to support developmental testing of conventional, ground launched missiles, Pentagon spokesperson Lt. Col. Michelle Baldanza told TASS on Friday (March 15). 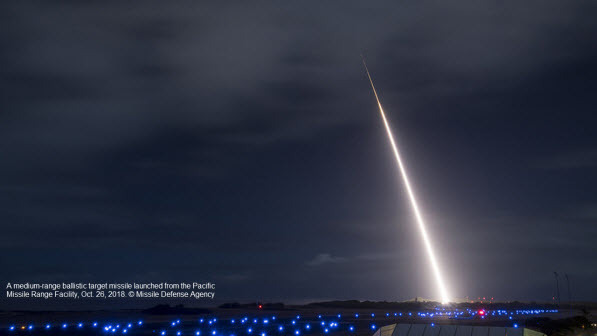 “With funding provided by Congress in FY19, the United States has commenced fabrication activities on components to support developmental testing of conventional, ground launched missiles,” said Baldanza. 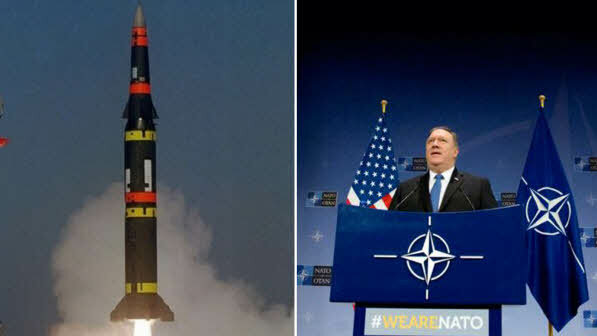 BATTLE FOR WORLD / SPUTNIK NEWS | March 15, 2019: The article highlights Washington’s new nuclear doctrine, announced on February 2, which outlines that President Trump, just like his predecessor Barack Obama, would consider using nuclear weapons only in “extreme circumstances”. 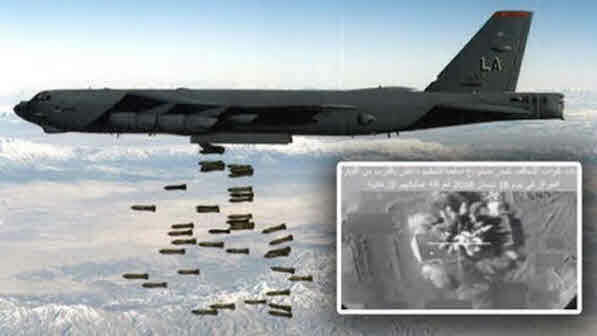 The Nuclear Posture Review also allows the US to strike first in a preemptive move. And General Joseph Dunford, the chairman of the Joint Chiefs of Staff, warns against changing the current military policy of the United States which allows the country the first use option of nuclear weapons during a possible conflict with an adversary. At the Senate Armed Services Committee hearing, Dunford affirms that he “absolutely” believes that “the current policy is the right policy”. And that: “I wouldn’t make any decisions to simplify an adversary’s decision-making calculus. I can also imagine a few situations where we wouldn’t want to remove that option from the president”, he said. 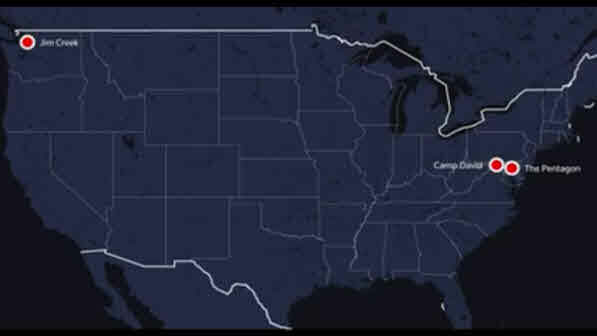 Reuters: After Putin’s warning, Russian TV lists nuclear targets in U.S.
BATTLE FOR WORLD / REUTERS | February 25, 2019: The article highlights that Russian state television has listed U.S. military facilities that Moscow would target, the Pentagon, the presidential retreat in Camp David, Maryland; Jim Creek, a naval communications base in Washington state, etc., in the event of a nuclear strike by the U.S. on its territory. And that the hypersonic missile Russia is developing would be able to hit them in less than five minutes after launch. The Russian TV news report, the U.S. said was bellicose in standards, as the U.S. media quickly pushed aside similar war rhetoric coming from hotheads in Washington DC about putting short-range missiles in Europe to attack Russia. The Russian state TV broadcast on the evening of Sunday (February 24) days after President Vladimir Putin said Moscow was militarily ready for a “Cuban Missile”-style crisis if the United States wanted one. Tensions are rising as the Russians fear that the United States might deploy intermediate-range nuclear missiles in Europe as the Cold War-era arms-control INF treaty unravels. President Putin has said Russia would be forced to respond by placing hypersonic nuclear missiles on submarines near U.S. waters. The United States says it has “no immediate plans to deploy such missiles in Europe” and has dismissed Putin’s warnings as disingenuous propaganda. But Washington’s “no immediate plan” could be a delay tactic not to own up to actual plans regarding nuclear missile deployment in Europe. RT | February 25, 2019: American guided missile destroyer USS Donald Cook docks in Odessa, Ukraine – Monday, February 25, 2019. 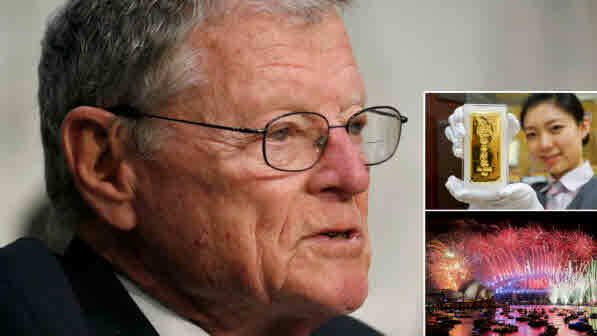 BATTLE FOR WORLD / RT | February 9, 2019: The article highlights that Republican Senator James Inhofe of Oklahoma has accused China of preparing for World War III. Like most of Washington’s statements concerning China, the lawmaker has completely ignored the U.S.’ role in creating such a scenario in the first place. The idea that the U.S. has sat back and watched anything, ever, in the history of the world, is somewhat laughable. Because even under the Obama administration, the president had an explicit containment strategy which was supposed to enclose and encircle China from all angles. The so-called Trans-Pacific Partnership Agreement (TPP) was also designed for this purpose (yet for some reason Donald Trump, who is overtly anti-Chinese, thought the agreement was a bad idea). And China is getting the “message” loud and clear, about the deception in the West to dominate the world. Because China is watching the U.S. as it unleashes empire ambitions pushing for the expansion of NATO up to and around Russia’s borders. It has invaded and bombed Iraq, Syria (miraculously occupying one-third of Syrian territory, including its most oil-rich region), Libya, Yemen, Afghanistan, Pakistan, Somalia, and even the Philippines, and is now itching to invade Venezuela…. BATTLE FOR WORLD / SPUTNIK NEWS | February 11, 2019: The article highlights that the U.S. Secretary of State Mike Pompeo traveled to the region of Eastern Europe on Monday (February 11), kicking off a multi-leg tour that will take him to Hungary, Slovakia, Poland, and then Belgium and Iceland. “I’m announcing new initiatives that will strengthen the U.S. presence in Central Europe. We are increasing the support for people-to-people ties, events and exchanges…We are also increasing support to help Hungary in its fight against corruption, strengthening law enforcement cooperation and providing mentorships training in exchanges for independent media in all four Visegrad countries,” Pompeo said, speaking in Budapest on Monday at a joint press conference with Hungarian Foreign Minister Peter Szijjarto. He continues: “I think for a long time we shunned [Hungary] in a way that drove them to fill the vacuum with folks who didn’t share our values.” And that “The Russians and the Chinese ended up getting more influence here, they do not remotely share the American ideals that we care so deeply about,” he added.